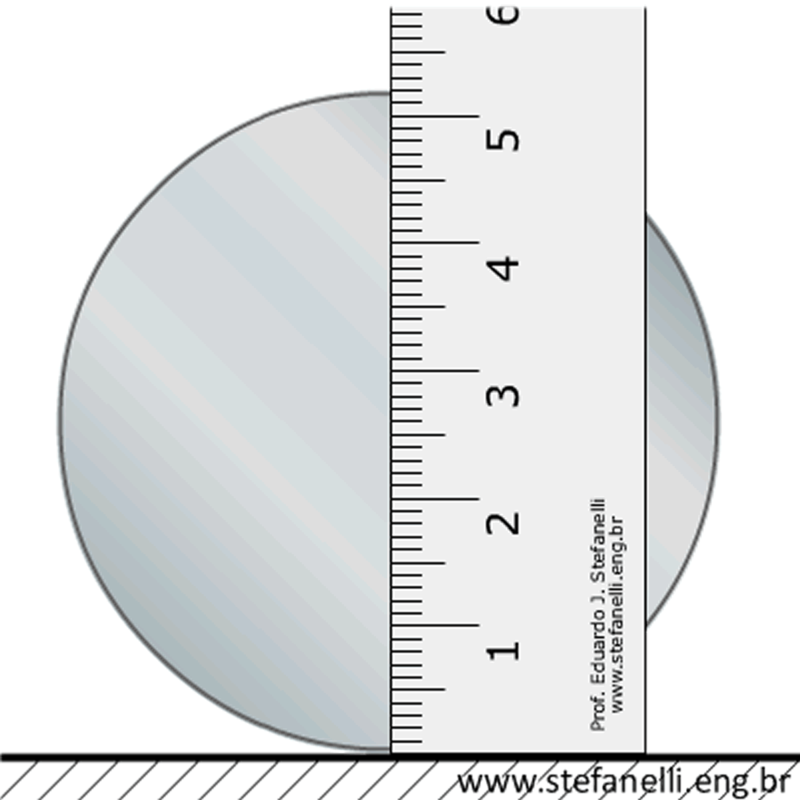 The ruler represented on this simulator is in tenth inch. This means that the numbering graved in the line gauge represents one inch that was subdivided in tenths. The value between parenthesis was obtained by interpolation. Observe that on this simulator it is not possible to be sure about the mensuring border is between the marks. This simulator indicates this fact with the value of the hundredths of inch in parenthesis. Technological devices as the vernier, correct this limitation. Observe also that is not possible to be sure about when the mark is trully aligned with the mensuring border in both sides. This imprecision of reading has as consequence that the measure taken is not that trustful. Instruments like the vernier caliper correct this limitation.